The Nokia C2 marks the entry of the Finnish manufacturer into the dual SIM band mobile phone market. The Nokia C2, or simply C2, is a mid-range phone with a good array of features in a sleek design and it’s aiming to put Nokia back in the circle of top mobile phone manufacturers in the world. 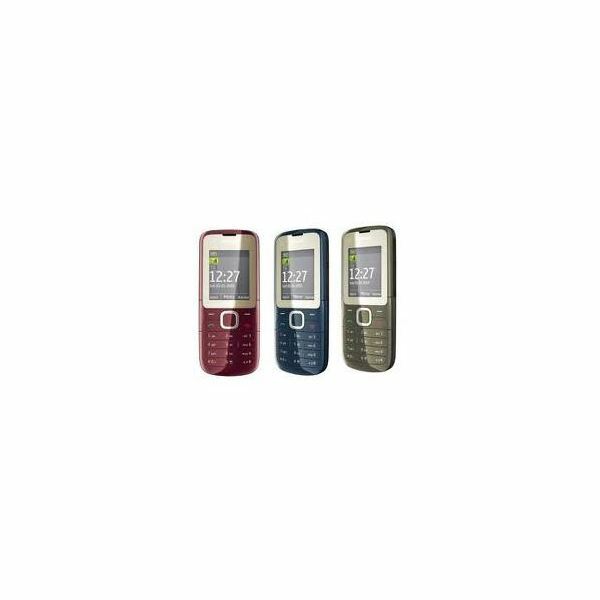 The Nokia C2 is tall and thin with a classic design that is complemented by glossy looking colors. The handset is available in colors such as jet black, dark blue, grey, snow white and magenta. It features a 1.8 inch color screen that displays high resolution pictures and videos. There is a five way navigational key that allows for easy access to the various functions embedded in this phone. This slim phone is also lightweight at 74.1 grams (with battery) which makes it ideal for those who want a phone that fits in a bag or pocket easily. This phone is designed as part of the affordable Nokia C series although the difference between this offering and other models is that the C2 allows dual SIM cards. The C2 has a length of 108 mm, width of 45 mm and depth of 14 mm. It supports up to 65,000 colors with a resolution of 128×160 pixels. The basic requirements for a mobile handset are in the C2. Mobile phone users who are not after the fancy stuff like applications, super fast processors, or touchscreens will find the C2 a good phone. It supports WAP browser, FM radio, and of course, dual SIM capability. Staying in touch with loved ones and friends is easy with the C2 as it supports voice calls, text messages, emails, and multimedia messaging. The phone also supports music playback with its 3.5mm audio connector. It can also connect wirelessly using Bluetooth. The C2 comes with portable FM radio capability that allows users to tune in to their favorite radio stations. The phone also allows users to record music from their FM radio, as well as storage of their most tuned into FM stations. In case they have grown tired of the music played on the FM band they can turn to their own music files through the media player of the C2. The phone supports up to 32 GB of memory using a microSD card. Users can store audio files in MP3 and WMA format. Using the Bluetooth connectivity of this phone, users can also share files with their friends through their Bluetooth capable devices. The phone also comes with a VGA camera resolution which can capture shots at 640 x 480 pixels and it supports video resolution of 128 x 96 pixels. Handy for users to capture moments which they can share through Bluetooth transfer. While the camera isn't great quality it is still a good addition to this budget phone. The main draw of the C2 is its dual SIM function. 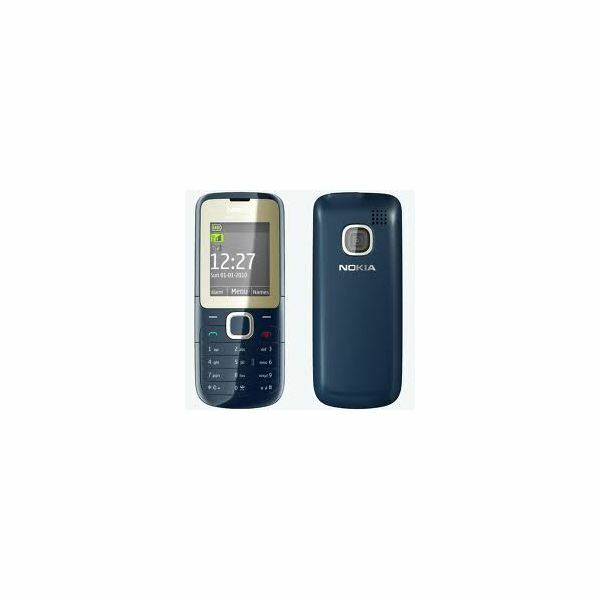 This is one of the first Nokia handsets with such capability and this appeals to those users who often find themselves keeping two SIM cards for various reasons. Unlike other phones that do not support dual SIMs, this phone can operate two SIM numbers at the same time. Thus there is no need to remove the other SIM to accommodate another SIM card. This also means that users can be connected on both of their lines all the time, not missing any important text message or call. This feature of the C2 is certainly what makes the phone standout among other Nokia handsets. The C2 also comes with built in access to Ovi Mail and Ovi Life Tools. It supports both the 900 and 1800 GSM bands. It also has personal information management tools like calendar, to-do list and calculator. The Nokia C2 is no different from other previously released handsets from Nokia. It has the five way navigational key below the display screen, with dedicated buttons for Talk and End for voice calls. The keypads are adequately lit in dark environments thus users will have no trouble texting even while in a movie house. The keys have adequate spacing in between them for more ease in texting. For a standard user interface, Nokia C2 gets a 3 out of 5 which is an average rating. The C2 delivers in terms of voice calls. Users should have no problem hearing the person on the other line since voice call quality is almost perfect. The phone’s other features are very basic- the media player has so-so sound quality while the camera phone delivers average photos. The battery life of the C2 can last up to 17 days while on standby. When used for voice call continuously it can only last for 4 hours. There is nothing fancy with the C2 but with such a cheap price, one should not expect the most advanced features. However the fact that this supports dual SIM cards is enough motivation for Nokia lovers to try this phone.